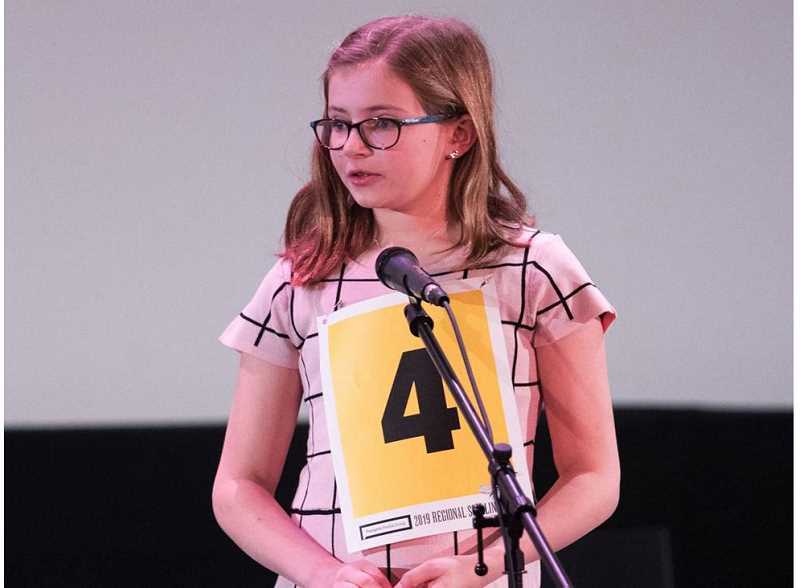 Two fifth-graders from Wilsonville were among the final eight contestants of the Regional Spelling Bee in Portland March 9. 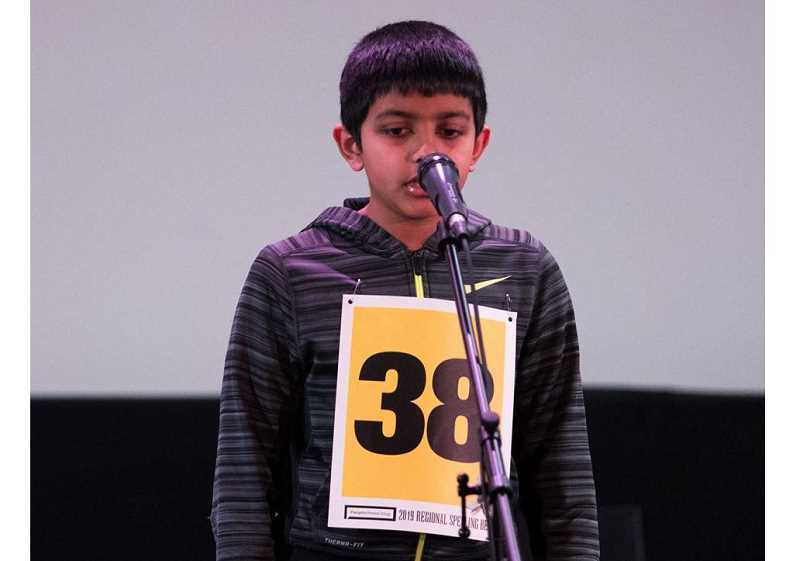 Annika Martin of Boones Ferry Primary School and Arush Goswami, representing Three Rivers Charter school, made it into the final round of eight from a field of 43 total contestants. Each participant qualified for the regional bee by winning a schoolwide spelling bee at their own middle or elementary schools. 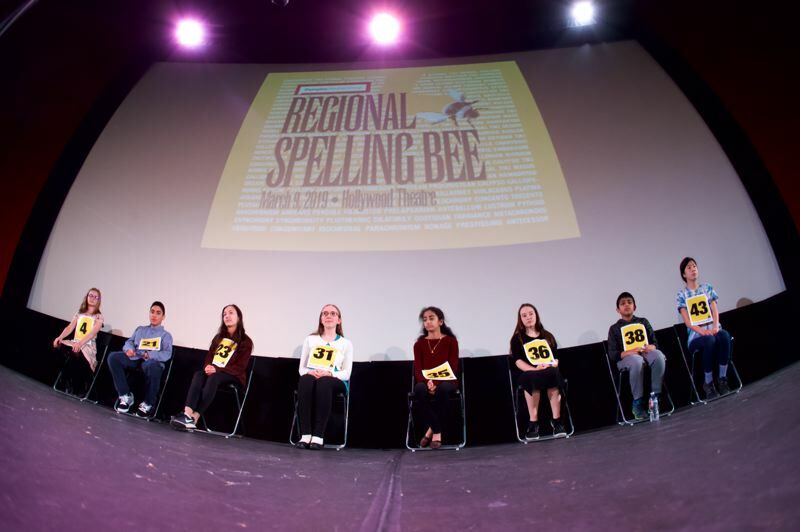 On the day of the regional bee, they appeared before a panel of three judges for a battle of words at the Hollywood Theatre. Agatha Chang of Portland, a seventh-grader at Winterhaven School, now heads to Washington, D.C., in May for the Scripps National Spelling Bee. In an interview with Pamplin Media Group, which has sponsored the bee for the past 16 years, Chang credited her love of fantasy and romance novels as the key to her success. "I like reading. That's probably the main reason that I won, because I read a lot of novels above my age level," Chang said. "It feels really great." Proud parent Elleanor Chin said her daughter has "always had a great vocabulary." Along with the trip to D.C., Chang earned yearlong subscriptions to several online dictionaries. In third place was Namrata Venkatesan, a Beaverton eighth-grader attending Stoller Middle School. Venkatesan, who was the second-place finisher in last year's contest, said it's fruitless trying to learn every word in the book. So she focused on common spelling rules instead, and studied Sanskrit, Spanish and Greek, and Latin roots. "There's just too many words in the dictionary," Venkatesan said. "You can't memorize them all." Oregon Public Broadcasting journalist Dave Miller served as the official annunciator, offering up definitions, alternate pronunciations and etymologies. When one student asked for the meaning of "angst," Miller recited a sentence expounding philosopher Martin Heidegger's dreary views on the topic. The bee also is a bit of a world tour, lexically speaking. Some students heard the bell (and were eliminated) after being challenged by words such as samovar, a Russian water kettle; babushka, a grandma; serdab, an Arabic word for cellar; and Backstein, a German cheese. Other students stumbled on the layout for the letters of vermin, monotonous, prodigal, ergonomic, koan, bayou, opossum, cachet, colloquial, tamarind, chinos and Kodak. Leena Saied, a student at Multisensory Learning Academy in Fairview, thanked her principal for giving her a book filled with tips and tricks for spellers. "I can go really far with it; it's a great opportunity," she said. Devin Jedan, a fifth-grader at Middleton Elementary in Sherwood, said there was one person responsible for his spelling success. "If it weren't for my mom, I probably would have been out first," he said with a smile. Abdullah Al-Jilani, a Portlander attending Jackson Middle School, looked to the heavens for inspiration. "God first," he said, then "my mom. Every time she would find a word she would tell me and I would memorize it." Mark Garber, president of Pamplin Media Group and publisher of the Portland Tribune, praised the crowd of scholars for their achievements before the first round.